Time to brush off those old college t-shirts, the National Collegiate Disc Golf Championship begin today from North Augusta, South Carolina. The top college disc golf teams from around the country will be competing for the right to be crowned college disc golf’s national champion at this PDGA Major event. Ferris State is the powerhouse in the men’s field. The Bulldogs have won two of the last three championships and arrive in South Carolina looking to defend their title. The traditionally deep program returns key players Sam Mrdeza and Ryan Brophy who were both members of the 2017 championship squad. Mrdeza already has an individual collegiate victory under his belt this year when he won the Great Lakes Collegiate Open. He also helped lead Ferris State win the team title at the event, which was one of the many big victories the team notched this season. The Michigan school also collected a Dean’s Cup victory at Winthrop Gold in October, and a first-place finish at the Tigertown Throwdown this spring. The Bulldogs have built arguably the best program and according to Ryan Brophy, the credit goes to the team’s coach, Leonard Johnson. Player turnover will haunt contenders from year’s past. The University of North Carolina at Charlotte who finished second last year is only returning one player with NCDGC experience — that’s Brandon Robertson, who was on the school’s B team this time last year. 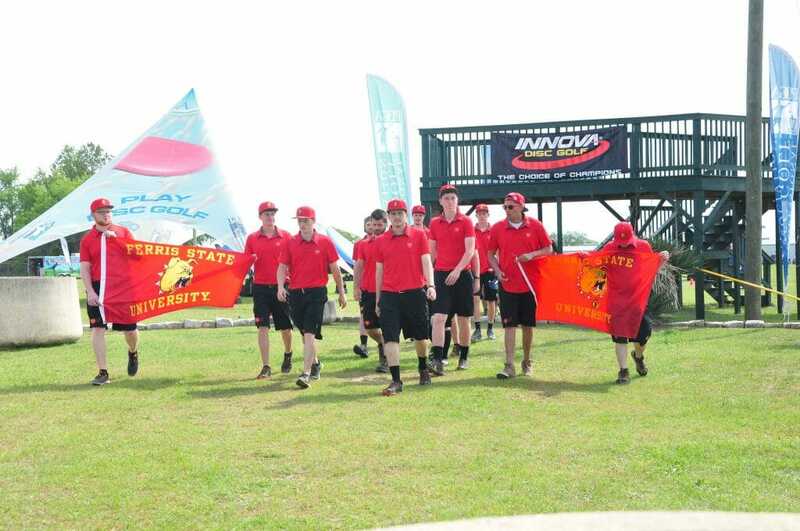 Arkansas State finished third in the team event last year and won the Southern Collegiate Disc Golf Association, will not be in attendance after being unable to field enough players to make the trip. With Arkansas State’s absence and UNC-Charlotte rebuilding, attention will turn to other strong programs who could contend with Ferris State. 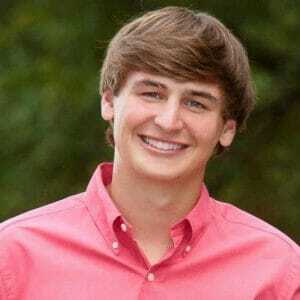 Mississipi State placed fifth last year and are led by Jacob Hensen. Hensen, the Bulldogs’ strongest player, was instrumental in their MidSouth Collegiate Open victory earlier this season and knows that if the team is going to find success, he’s going to need to do the same this week. Henson, who has been dabbling in the Open division, finished 56th in last weekend’s Jonesboro Open. It’s an experience that he believes was beneficial to him despite the hectic travel schedule. Other teams to keep an eye on this weekend include historically strong North Carolina State, Clemson, and a Texas A&M team that won the Texas Collegiate Championships this year. On the women’s side, a new women’s team will be crowned champion for the first time in four years. California State University-Monterey Bay are the reigning three-time champions but will not be at the event this year. Liberty University is bringing two teams and look to be the favorites against the women from the University of Oregon and the upstart, Southern Arkansas University. The 35 schools competing earned their spot at one of the College Disc Golf qualifying events that happened around the country this past season. While qualifying formats have changed, the NCDGC format has stayed relatively consistent over the years. The NCDGC format uses a combination of singles and doubles play in order to declare a team champion. The teams will compete in six total rounds consisting of four team doubles rounds and two singles rounds. The top 28 individual golfers with the lowest scores will advance to the finals of the individual competition, to be played on Thursday. The school with the overall lowest total cumulative score, consisting of all four team member’s singles scores and team doubles scores, will be crowned the 2018 National Champion. The tournament also crowns a women’s individual, first flight, and second flight champion. That doesn’t mean that the other courses won’t come without challenges and Brophy believes that his experience will be an asset on those tricky courses. A nice stretch of weather is expected in North Augusta this week. Mild and calm conditions are expected for most of the tournament, which should be conducive to good scoring. Wednesday: A nice day with highs topping out in the low 70’s. 9 AM: 55° with calm wind conditions. 1 PM: 68° with a slight northwest wind. Thursday: Slightly warmer than Wednesday as highs top out in the upper 70’s. 9 AM: 56° with a slight southerly wind. 1 PM: 75° with a southwest wind around 10 mph. Friday: High pressure will move to the east of the region, allowing for the development of strong southwest surface flow. Highs will top out in the low 80’s. 9 AM: 61° with a southerly wind around 10 mph. 1 PM: 80° with a southerly wind around 10 mph. Saturday: A rinse and repeat forecast from Friday with southerly winds continuing to push temperatures into the 80’s. 9 AM: 65° with a southerly wind around 10 mph. 1 PM: 80° with a southerly wind between 10 and 15 mph. Currently, conditions should remain dry throughout the event. Though, there is a slight chance of very isolated showers or thunderstorms developing on Saturday afternoon. Fortunately, a majority of the rainy and stormy conditions should hold off until Sunday. As a PDGA Major, the organization will be onsite with updates from the event, including posts on all their social media accounts. Check back in here at Ultiworld Disc Golf for a full recap of the action next week. 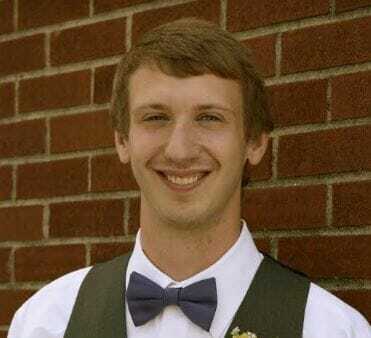 Comments on "2018 National Collegiate Disc Golf Championship Preview"